With enforcement rising sharply, companies have no choice but to hire Compliance Officers at various levels of management to develop effective compliance risk management processes and provide guidance regarding regulatory responsibilities. 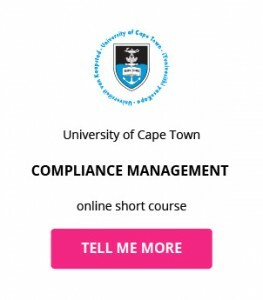 In January of 2014, the Wall Street Journal called Compliance Management a booming job in America offering a dream career.1 With different regulations applying to every organisation in the world, whether in corporate, hairdressing or real estate; there’s an ever-increasing demand for Compliance Management Officers to keep companies on the right side of the law. What are the key responsibilities of a Compliance Management Officer? The procedures of the company they are assessing. Current market trends and legislation. Compliance skills and knowledge by taking part in compliance courses and compliance training. Related content: How membership with CISA can boost your career. What is the career path of a Compliance Management Officer? Compliance Management Officers have varying career paths depending on whether they are situated in public or private sector. What is the potential salary for a Compliance Management Officer? The salary for a Compliance Management Officer is reliant on years of experience and updated compliance training, and will often be slightly lower in public over private sectors. What are the education and compliance training requirements for a Compliance Management Officer? Although the requirements for becoming a Compliance Management Officer vary from country to country, for most, there is no specific qualification needed to be studied at a tertiary level. 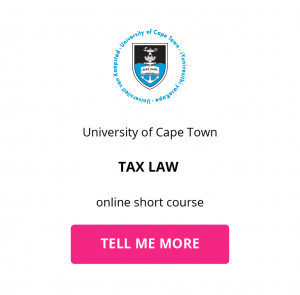 Rather, a bachelor’s degree in something like accounting, business or legal studies, and often, taken to the Master’s level, is a good place to start if you are wanting to venture into a career in compliance law. A company will want to hire a Compliance Management Officer who knows the ins and outs of the working world. Most companies will not hire a Compliance Management Officer straight out of university as having business experiences is imperative to staying on the right side of the law. Due to escalation of regulations, companies are desperate to increase their enforcement activities. In South Africa, receiving compliance training by completing a compliance courses, means you can become recognised as a Compliance Management Officer. The UCT Compliance Management online short course offered by GetSmarter is endorsed by the Compliance Institute Southern Africa (CISA). 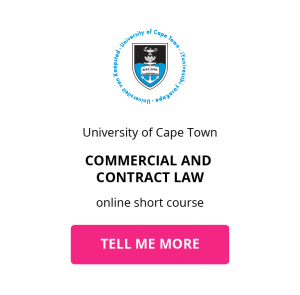 On completion of your course, you’ll gain CISA membership. Ready to begin a successful career in compliance management?